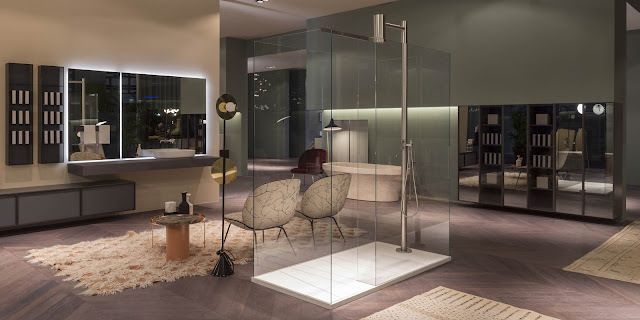 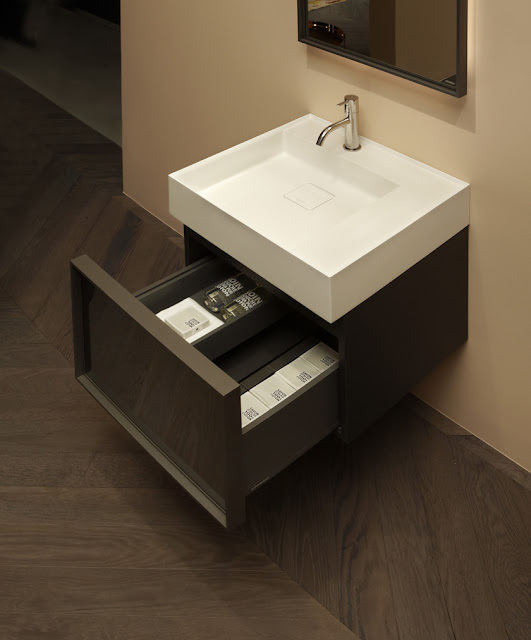 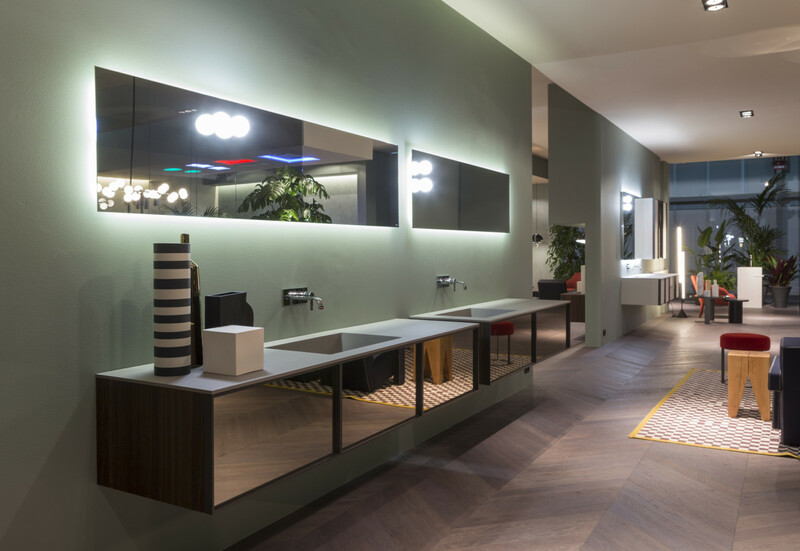 BESPOKE is the new modular bathroom furniture system by antoniolupi surprising for its beauty and elegance expressing extreme simplicity and linear forms. 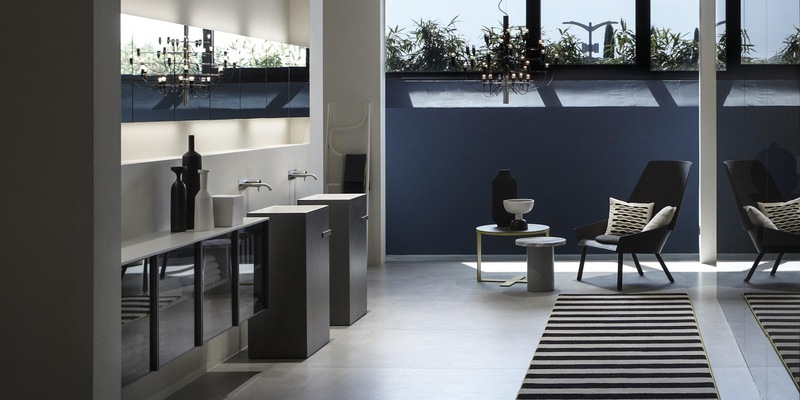 Iconic elements in diverse and personalized composi ons decorate the bathroom and not only. 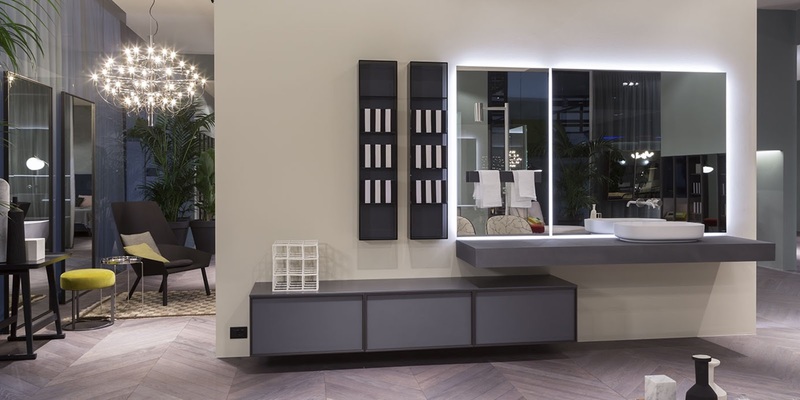 Compose the living area with pure and sophisticated style that distinguishes Antonio lupi in every detail. 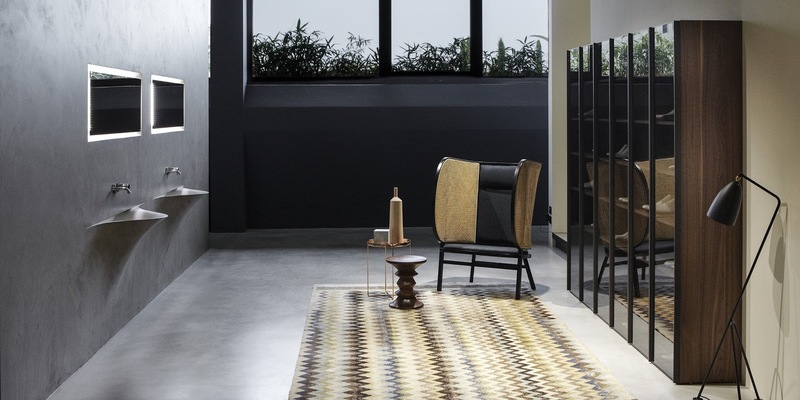 A harmonious project that perfectly integrates with the goals of the architect Carlo Colombo and the company’s needs to o er a collection potentially endless. The beginning of the collaboration between Carlo Colombo and antoniolupi goes back to 2003 with the collection Material, followed afterwards with Panta Rei in 2006. A creative synergy that has developed two of the most beautiful furniture collections appreciated worldwide.Today this partnership is reiterated and confirmed with BESPOKE a collection of sure success. 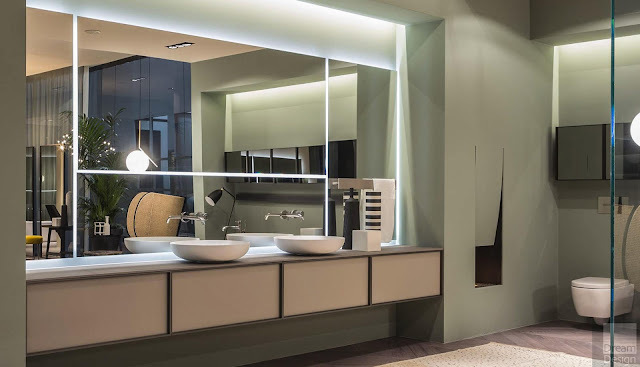 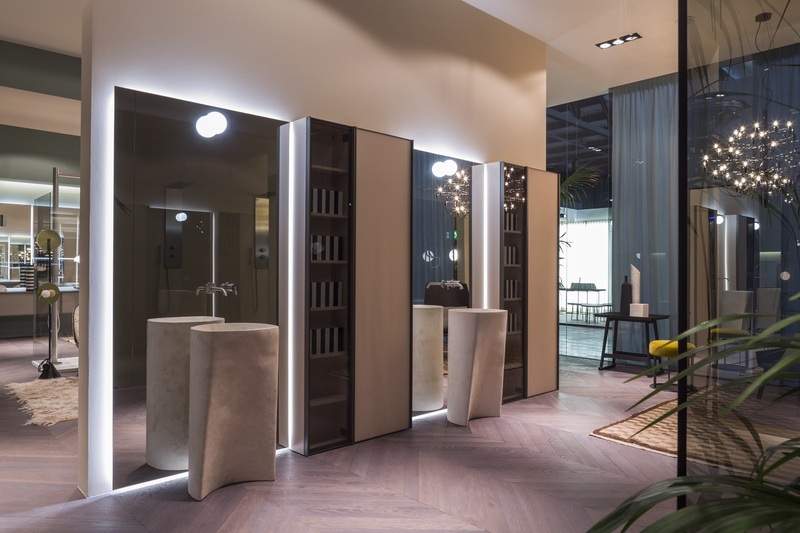 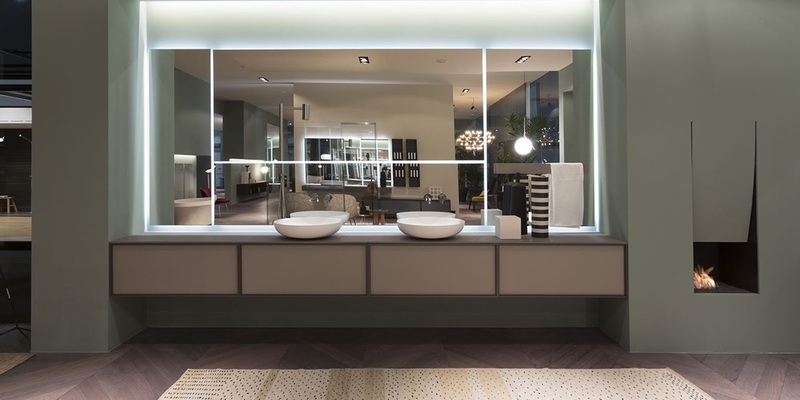 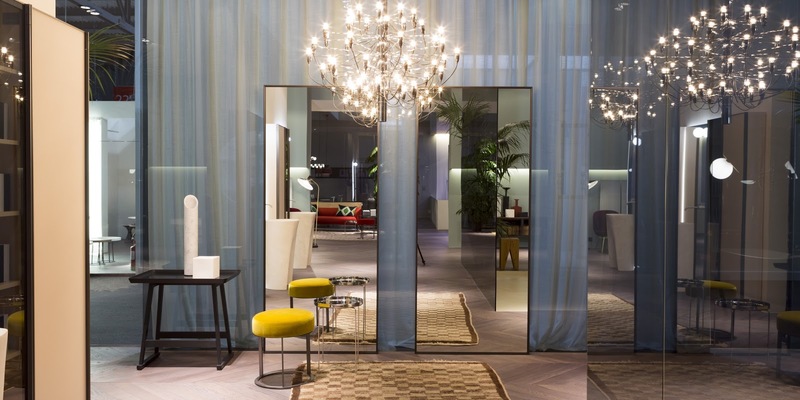 The logic behind Bespoke is based on cabinets combined with doors with an aluminum bronze or titanium pro le and 4 mm acid etched glass (in all the antoniolupi colours) or in transparent bronze or fume glass and silvered (mirrored). The structure of the cabinets can be made from all the Antoniolupi wood essences of which will be added Thermo oak, laminated Cenere (dark grey colour) or glossy lacquered, ma lacquered and embossed in all the Antoniolupi colours. 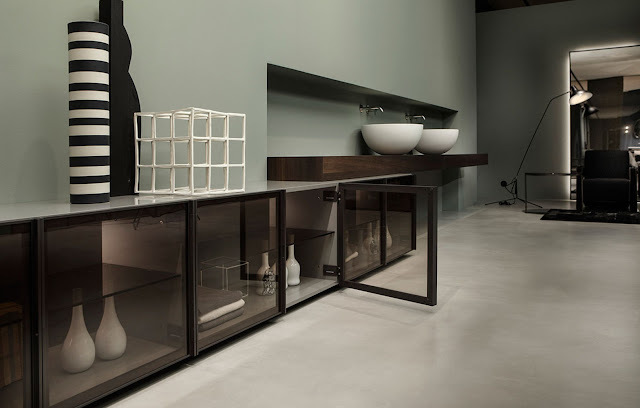 The cabinets can be made in the versions with doors or drawers. The surfaces are made from the new revolutionary material created by antoniolupi, Quarzomood or in wood; each material is combined with a specific function. 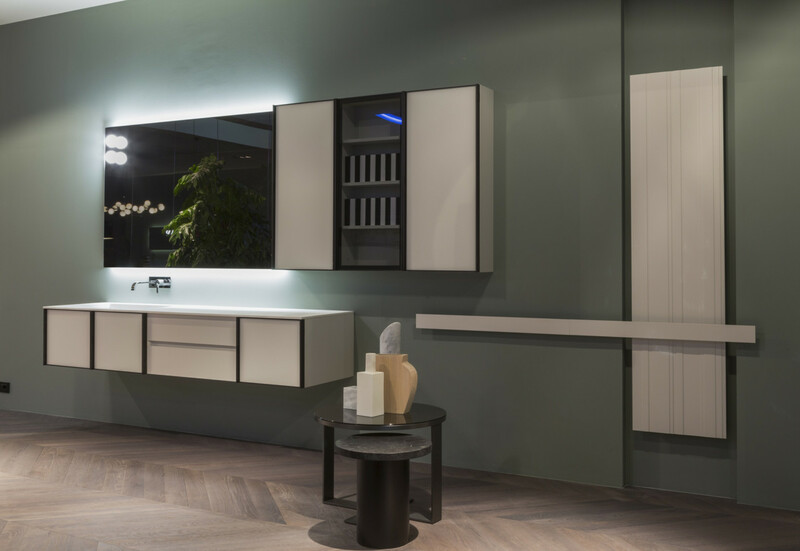 The cabinets and sink units can either be with doors or drawers (not combinable with each other) while the wall and high cabinets only have doors.